Is Konami Going To Recall Your Girlfriend? 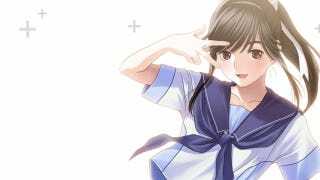 Konami's New Love Plus is a remake/upgrade of the virtual girlfriend dating game Love Plus, and was released to much fanfare this past Valentine's Day. As a remake, the game allowed players of the original to import their save data to continue their virtual relationships, and as an upgrade, the game incorporated the 3DS's capabilities for some ambitious new features. But perhaps trying to digitize something as intricately complex as a relationship was a little too hard. After numerous bug reports and freezes, Konami has acknowledged a critical glitch that stops the game. Konami has announced that they are working to determine the source of the glitch and how to fix it. At present, they have only stated that they plan to announce their strategy in the coming days. While an update patch seems to be the most pragmatic solution, rumors have already begun to spread that they may be planning to recall the game from stores and then focus on users. The game store Softmap in Fukuoka has already announced via Twitter that sale of the game has been put on hold and subsequently, purchase of used copies has been halted. Once Konami fixes the game, will they be able to fix all the broken hearts?